You are here: Home / Blog / Unconferencing – We Did! PAN hosted its annual board, teachers and organizer’s retreat at the Omega Institute from October 8-11, 2017. This year those in attendance were the PAN board and a small, intimate group of committed network organizers from New York City to Boston. For this year’s retreat we chose to place some stronger focus on “unconferencing” which felt like a tremendous success. 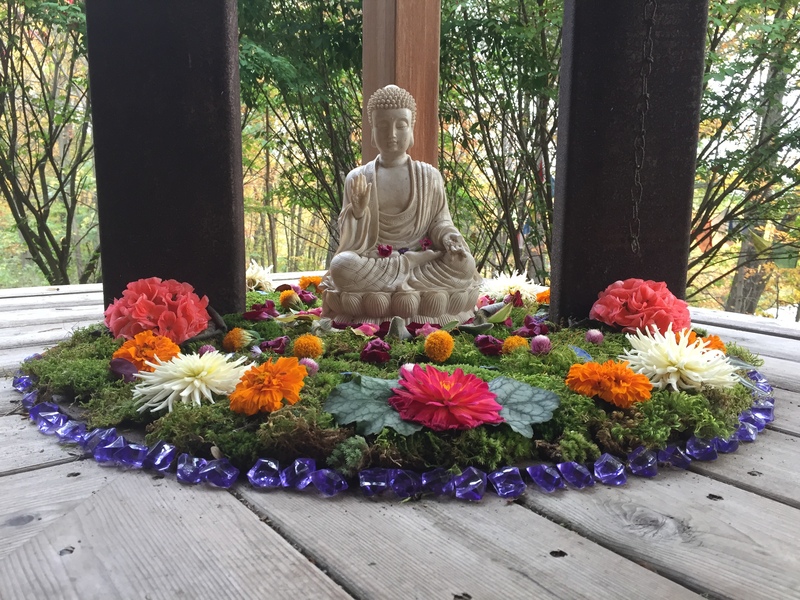 We’ve been hosting these retreats at Omega for about five years, and usually we have a full agenda, and between the facilitation and hosting, it doesn’t always feel like a retreat for some of us. This year we planned on plenty of unstructured time to hang out, network and play. The work time that we put in was productive and we unveiled the standards pledge for feedback, planned for greater collaboration with PINA, reviewed and brainstormed the work that PAN does, came up with a work plan and a list of deliverables for 2018 and asked for feedback from members about benefits we could provide to the network. Your membership dues goes to support the work of PAN so that we can make our work freely available to the network and the world. The voluntary teaching pledge of standards will be an important document that will help aspiring new teachers in their workshop and course organizing efforts. While the scheduled work times were productive, the “unconferencing” also proved to be very beneficial. We spontaneously decided to do a “show and tell” and give each other a profile of the work that we do in the world. We heard about landscape design and planning, a year-round K-12 grassroots educational program in New York City, and graduate level work defining a rubric for environmental services that can be incorporated into any design discipline. The mealtimes at Omega were awesome as usual, with a fantastic buffet of local organic food, orange juice on tap and lots of tea. We were able to enjoy many of the amenities of Omega this year in a more laid back manner as well. Those included yoga, tai chi and meditation; an evening camp fire, hiking and boating; and of course the sauna and nap times. Jesse, an avid mixed martial arts fan, even fulfilled a dream of his by introducing a group of very progressive and open-minded permies to the sport on the big screen display we had in our meeting room. For 2018 PAN is looking forward to organizing less conventions of our own, and we are looking forward to piggy-backing on existing events similar in focus. We are planning on developing a series of webinars that are focused on topics that will benefit our members in the work they do in the world. We are considering hosting the regional Northeast Permaculture Convergence (NEPC) in Maine in the summer of 2018, and we are looking forward to hosting you there! Once again, thanks for all the work you do in the world and thank you for your support of PAN!